Forget the milk. Reach for the fruit of the vine for a truly unique experience pairing those irresistible temptations with your favorite wine varietals. 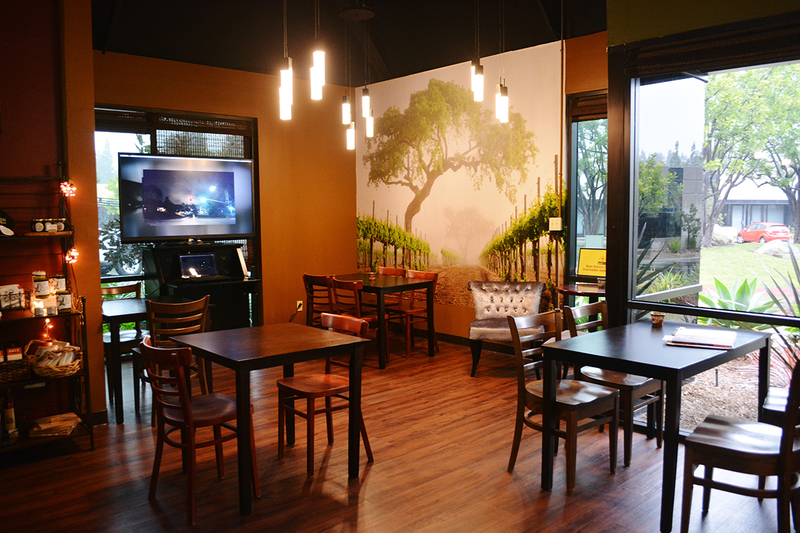 Koi Zen Cellars, an urban winery located in Carmel Mountain Ranch in the heart of San Diego is a warm, friendly, welcoming place, perfect for an afternoon of wine tasting. 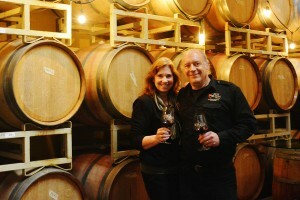 And Darius and Lisa Miller, the winery’s “passionate about wine” owners couldn’t be better hosts. In addition to the wine bar tasting area, patrons can relax at tables placed throughout the tasting room, or the ever-popular wraparound sofa seating. The name, Koi Zen takes its name from the 2500 gallon, five foot deep Koi Pond built in the couple’s backyard, where they enjoy watching the fish, meditating and unwinding from a busy day. 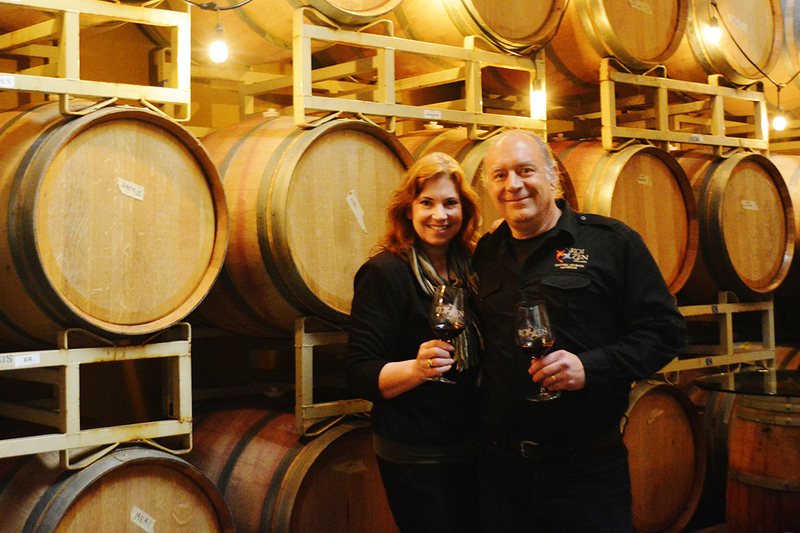 Ten months ago, the couple decided to follow a thirty year old dream they’ve shared to be in the wine industry, and opened Koi Zen Cellars. Too many stress-filled years in the high-tech computer programming industry coupled with a serious medical scare, finally convinced the Millers that “the time is now”. 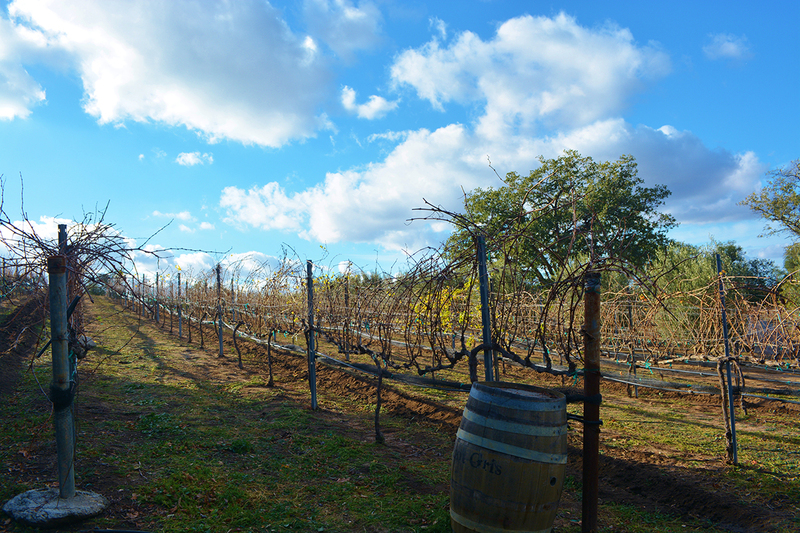 They took several wine-making courses and had already been making wine for their own personal consumption. Both toyed with the idea of buying a vineyard, but, per Lisa, the whole concept of an urban winery became more and more fascinating. 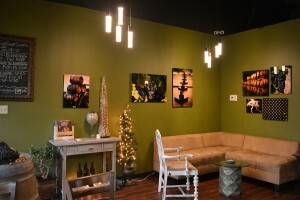 As she explained to us, “we love where we live and we thought it would be wonderful to instead bring the winery to the neighborhood in a relaxed, community setting”. Lisa tells one of the best neighborhood winery stories involving two couples who met during a recent wine tasting; hit it off, only to realize they lived in the same neighborhood 3 doors apart. “This is how it works” says Lisa. “Lasting friendships are formed here. That’s what we want to happen”. 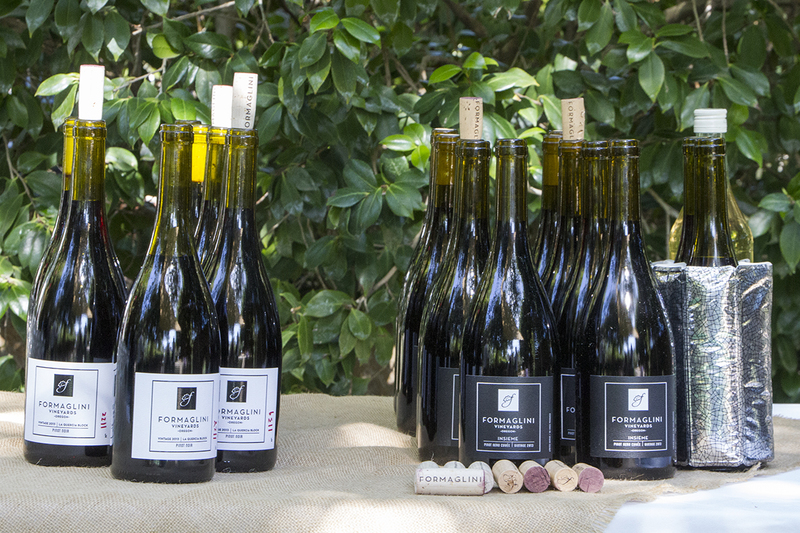 Current wines available in this their first year of tasting and purchase originated from raw fermented bulk barrel grape juice sourced from world-class vineyards throughout California – specifically from the Santa Barbara, Paso Robles, Napa, Sonoma and Lodi regions. Koi Zen then transferred the juices to its own casks, and worked their magic, adjusting the flavor and balance by adding their own combination of oaks and acids to achieve the desired taste. The fall of 2015 marked Koi Zen’s first crush, assisted by friends and members of the wine club. 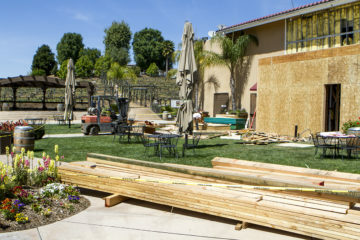 The purchase of an on-site crusher and an Italian-made bottle Ferrari corking machine referred by Darius as “his very own Italian Ferrari” ensured they now own the wine making process from grape to bottle. Darius expects their very first release, a Syrah, to be “soon, very soon”. 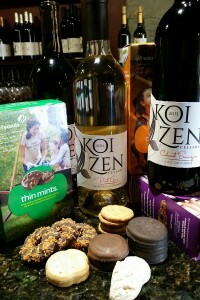 The idea of wine and Girl Scout cookie pairing came from the Millers’ many-year of association with the Girl Scouts. After attending a recent craft beer and cookie tasting, Lisa thought “why can’t we do the same with wine?” And so they did. Per Lisa and Darius, the general rule with pairing wine with Girl Scout cookies, is to start with the lighter wines, and then move to the darker varieties paired with the richer, heavier cookies. The first cookie, a crisp, zesty lemon Savannah Smile, was paired with their light, honeysuckle, citrus and pear Pinot Gris, perfectly designed to break the tartness of the lemon flavor. A delicate-tasting shortbread known as the Trefoil paired with a Lodi Chardonnay with crisp refreshing notes of peaches, apricot and grapefruit nicely accented the buttery richness of the shortbread. A favorite among Koi Zen’s patron wine & cookie tasters is the Do-Si-Do, the crisp, crunchy oatmeal cookie with a creamy peanut butter center. Paired with a Lake County Malbec, it tasted like a peanut butter & jelly sandwich due to the fruity jam flavor from the wine. Samoas, the tender vanilla cookie covered with gooey caramel and roasted coconut topped with a rich, chocolaty coating could not have been a more perfect match than with the Central Coast Merlot. 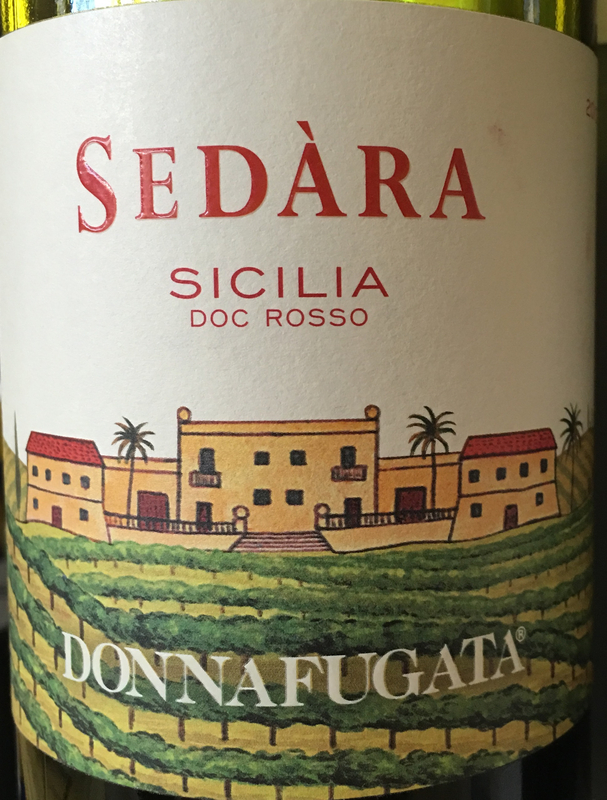 Pleasant, balanced with even tannins and acids- a beautiful compliment to the sweet caramel and toasty coconut. Another patron favorite pairing, the Cabernet Sauvignon with pronounced tannins and acids did a stellar job standing up to the creamy peanut butter center and luscious, rich chocolaty coating of the Tagalong. My hands-down choice just happens to me my favorite Girl Scout cookie temptation-the Thin Mint. Its dark, bold, smooth chocolate enveloping a peppermint-flavored cookie needs a strong red wine that blends well but won’t overpower the cookie. 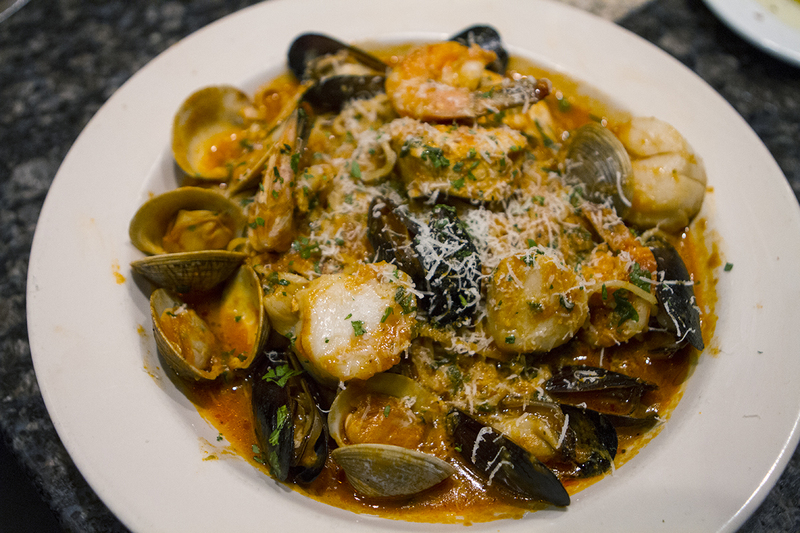 It just so happens that the Petit Verdot, a full-bodied wine with powerful dark fruit proved to be the perfect match. In my entire life, I don’t believe I’ve ever tasted this many Girl Scout cookies in the same sitting. So, this was the perfect, fun-enhanced opportunity to do so with God’s gift to mankind – the fruit of the vine. 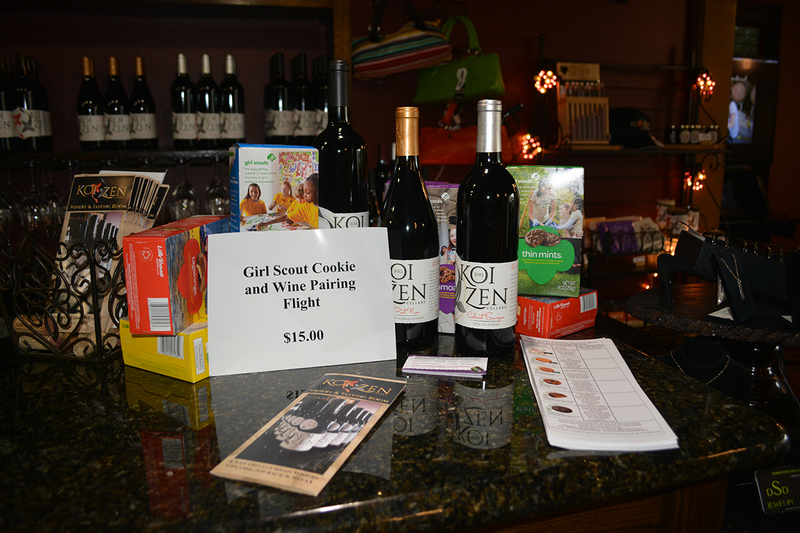 And for those patrons who haven’t yet gotten their share of these sumptuous delights, both the Girl Scout cookies and their matching wines can be purchased on site at the winery.